Public Security Minister Guo Shengkun, who doubles as a state councilor, disclosed the move earlier this year at an internal meeting about a wider overhaul of domestic security services, said the people, who asked not be identified because the plans are not public. The office would be created by merging and expanding the ministry’s border control and exit-entry administration bureaus and could be set up before year-end, they said. It’s the latest sign that China sees recruitment of foreign workers as a way to help shake its dependency on manufacturing and investment and avoid the "middle-income trap" that has stalled developing economies from Asia to South America. 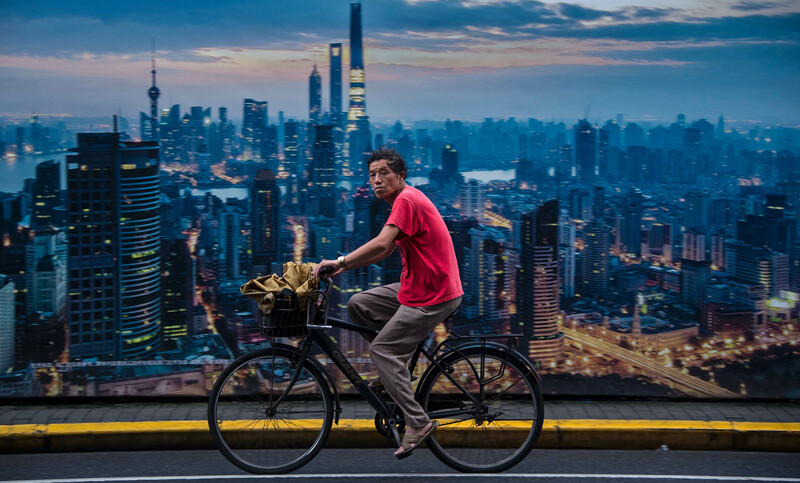 Almost four decades after Deng Xiaoping began opening China to the world, about 600,000 foreigners live in the Communist-led country, a tiny fraction of its almost 1.4 billion population. Japan, by comparison, has 2.17 million foreigners. "China didn’t need to do that over past decades because it had double-digit growth simply by enjoying the demographic dividend," said Wang Huiyao, president of the Center for China and Globalization, a research center that advises the government. "But now it needs a new dividend of foreign talent to help support economic growth." The Ministry of Public Security didn’t respond to a faxed request for comment. The ministry on Monday announced 16 measures to streamline permanent residency applications and other skilled foreign worker approvals in the free trade zone in China’s southern manufacturing powerhouse of Guangdong, which borders Hong Kong, the official Xinhua News Agency reported. Besides needing expertise, the country’s facing a long-term demographic squeeze as the population ages. The government replaced its one-child policy with a two-child limit last year after the working-age population shrank for the first time in two decades. It’s unclear exactly who the new Chinese immigration office would seek to attract. While Xi has urged a general increase in international talent exchanges, his public remarks have focused on overseas Chinese, particularly those who left the country for an education and never came back. "You are warmly welcomed if you return to China," Xi told a meeting of the Western Returned Scholars Association in October 2013. "If you stay abroad, we support you in serving the country in various ways." Strict visa rules, heavy pollution and weak rule of law are among the factors complicating any efforts by China to lure overseas workers. Less than half of the 2.6 million students sent abroad between 1978 and 2012 returned, the official Xinhua News Agency said at the time of Xi’s remarks. Similarly, a study by the Center for China and Globalization released last year found that only 7,300 foreigners had secured permanent resident status in the first decade of its availability. The government has broadened the categories of people eligible for a Chinese green card, highlighting foreigners who working in innovation-focused careers in laboratories and technology centers. The relaxed guidelines followed a meeting of Xi’s Central Leading Group for Deepening Overall Reform last September. The panel pledged to "manage foreigners’ permanent residence in a reasonable, open and pragmatic manner," Xinhua said. "The threshold would be very high," said Wang Yukai, a professor at the state-run Chinese Academy of Governance. "Even if we set up an immigration office and introduce a new immigration policy, the government would be very cautious in choosing whom to let in. The opening would be quite small in the beginning. We would like to attract the elite, talented people, but we wouldn’t allow those who we don’t need to flood into China."